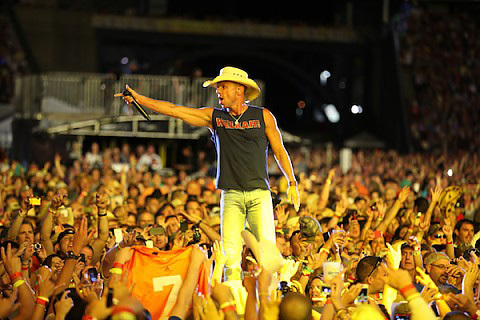 The Brothers of the Sun Tour, with Kenny Chesney and Tim McGraw, ended its run this weekend with two sold-out shows at Foxboro, MA’s Gillette Stadium. The 111,209 tickets sold for the New England shows were what Dan Murphy, Gillette Stadium’s Vice President of External Affairs, called “a record for the biggest country music event in New England history.” Two weeks ago, Chesney and McGraw hosted the biggest ticketed country show in NYC/NJ history at a sold-out MetLife Stadium in East Rutherford, NJ. 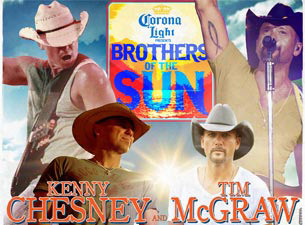 The Brothers of the Sun Tour spanned 22 cities and packed 23 stadiums featuring Chesney and McGraw, as well as opening acts Grace Potter & the Nocturnals and Jake Owen. According to Pollstar, it’s the biggest stadium tour of the year and the highest-grossing tour of the summer.